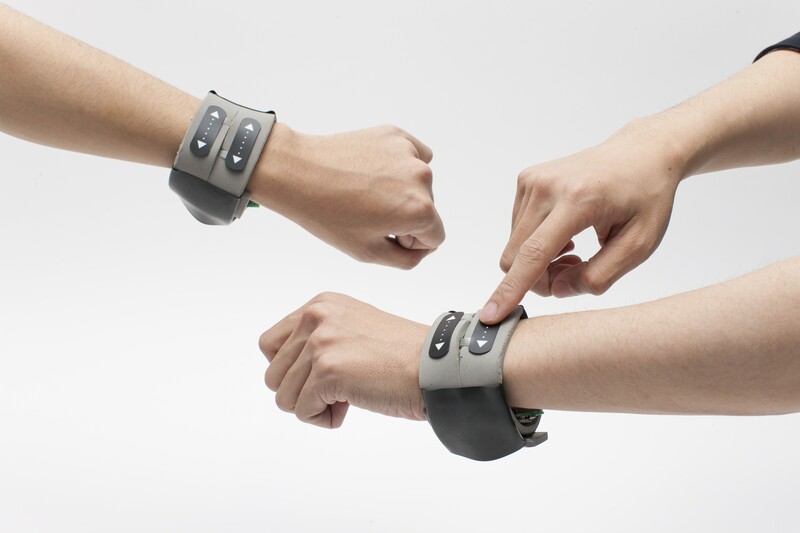 ComBand is a wristband device and communication system to allow haptic communication between remote locations. This device obtains the position and pressure of the user touching the device, and transmits the information to a communication partner by tactile display using a vibration motor and rotary motor. We enable haptic conversations through this device.